August 10, 2018, 6:30 p.m.
Talk to your enemies. That’s what Americans have said when it comes to direct talks with anyone – North Korea, Russia, and now Iran. 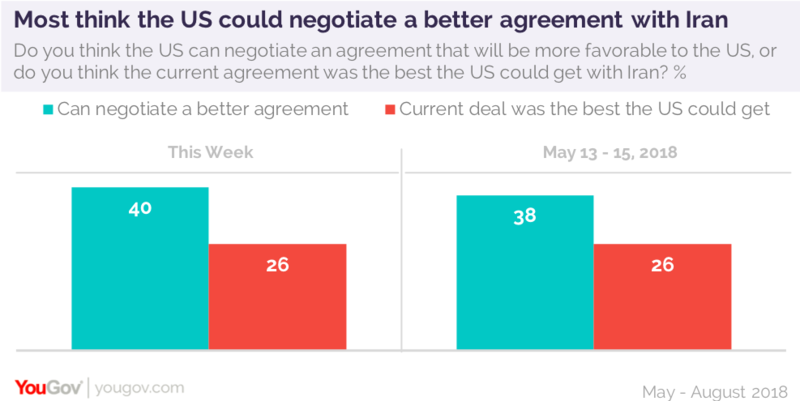 In the latest Economist/YouGov Poll, six in ten support direct talks between the Iran and the US, something President Trump has said he’s been would like to do. While Republicans are much more likely than Democrats to support negotiations, a majority of Democrats favor them by more than two to one. Most Americans continue to express concern about Iran: 59% who see Iran as a threat to the United States. Nearly half (46%) call it an enemy. But those feelings may breed urgency in negotiations. 73% of those who view Iran as a very serious and immediate threat to the US and 70% of those who say it is an enemy favor direct negotiations. 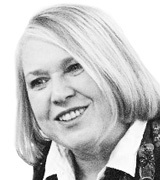 There is some belief that the negotiations will prove fruitful. When the President decided to withdraw the United States from the 2015 multi-nation agreement with Iran that reduced sanctions based on Iran’s promise to stop developing nuclear weapons and to allow inspections, a plurality thought the US could negotiate a better deal with Iran. They are still sure that can happen. However, the country remains closely divided on whether or not they approve of that decision to withdraw. 36% approve; 40% do not. What also may motivate support for negotiations is concern that without some agreement, there may be military conflict with Iran. More than a third think war with Iran is likely to take place within the next five years. A majority of them support negotiations. But the public has soured a bit on the outcomes of previous summit negotiations by President Trump. 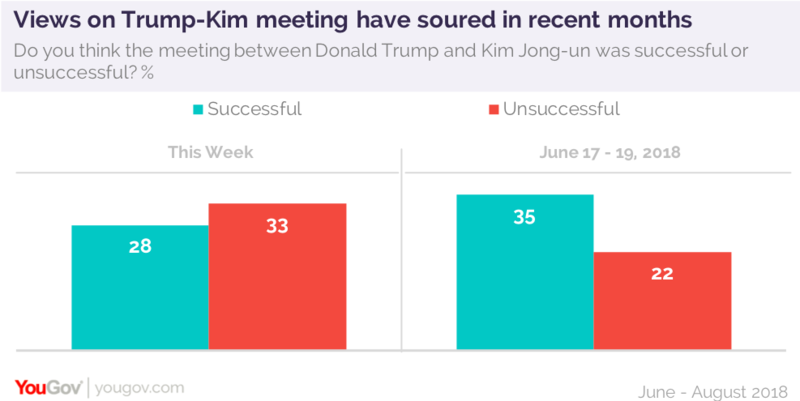 Immediately after his meeting with North Korean leader Kim Jong-un, Americans declared the summit a success. Now they are not so sure. They are closely divided, but more say it was not a success than think it was. As for the July meeting between the President and Russian President Vladimir Putin, by 35% to 23%, Americans say that was also not a success. However, despite their beliefs that recent talks with other international leaders haven’t produced very much, Americans still support them.